Treat someone special to this tower of chocolate covered treats including cake pops and Oreo cookie pops and Oreos - all dipped in Belgian white, dark and milk chocolate. 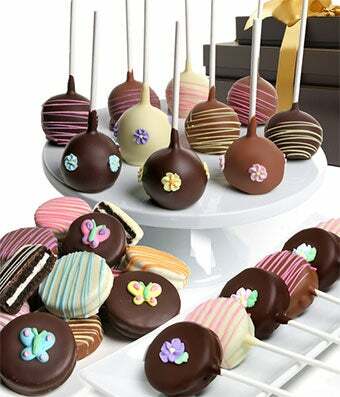 Hand-dipped and decorated, no two will be exactly alike. Delivered in gift boxes.